To fully integrate analog synthesizers and drum machines with computers has long been a dream for many electronic musicians. 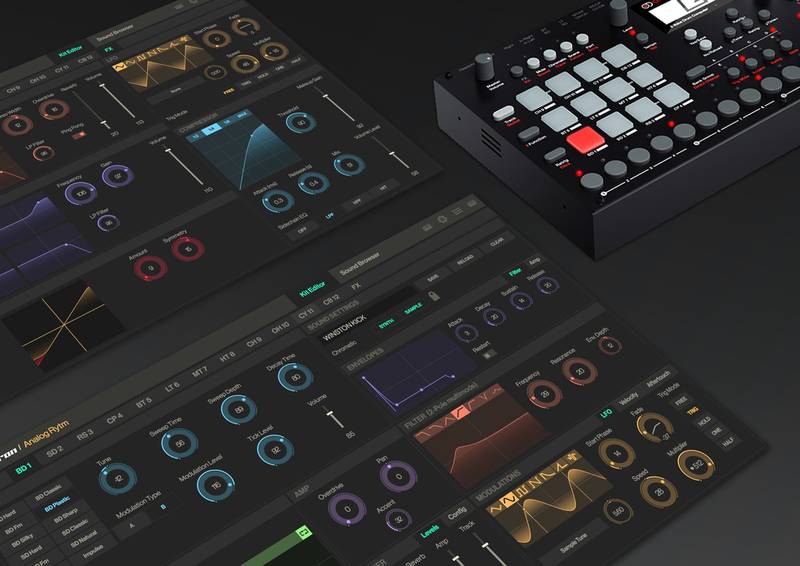 Introducing Overbridge, a breakthrough technology allowing real analog instruments to be handled as software instruments, Elektron made this reality. Overbridge unites hardware and software. It enables real analog instruments inside your DAW, and you can combine the strengths of Elektron hardware and your music studio software. The immersive and thoroughly designed Overbridge environment encourages only what matters the most. Creativity. Usability. Convenience. Immediacy. A brilliant and more personal sound. Instead of conceiving a digital simulacrum of a physical control board, resulting in minor or no advantages, Elektron and The Techno Creatives utilized combined digital know-how and created a totally new visual experience, free from traditional rotary wheels and sliders. The intuitive Overbridge interaction patterns are designed with musicians in mind, enabling them to accomplish envisioned results in a straightforward manner. Frequencies are for example visually represented as real-time updated graphs, which a user can edit. Information is not obscured in dropdowns or buried in menus. The day and night modes, utilizing carefully designed color schemes, makes Overbridge a perfect fit for the working life of a musician. The highly functional and beautiful user interface of Overbridge really stands out. Finally musicians can combine the power of analog hardware instruments with the benefits of software control.